A lot of the time people come to me with their skin care concerns, I find the main culprit of the conditions that are occurring on the skin is lack of exfoliation. People feel, if they are cleansing and moisturising, this is enough and although I commend you on your skin care efforts - It's not.... (but it IS still much better than nothing!). Educating your self as a skin care user gives you the choice to know what's good for skin intead of someone else telling you. I hope this little piece helps you make informed decisions when it comes to your most noticeable organ! Helps clear breakouts, black heads and acne by unclogging the caps of dead skin cells blocking up and clogging the pores. If you imagine your skin like the surface of a sea sponge, all those little holes need to be unblocked so your oil and sweat being produced on a regular basis can flow freely out onto the surface instead of collecting in the pore causing it to fill up with no out let - aka A PIMPLE! Aids in serum and moisturiser absorption. We tend to invest most of our money when we spend on skin care in our serums and moisturisers hoping for them to do most of the anti-ageing right? But how are they going to penetrate as deeply as they should if they are being hindered by a barrier of dead skin? If we remove that "mask" of dead skin cells, your skin care will treat the live cells optimizing penetration of active ingredients. Smooths the skin's surface reducing the appearance of fine lines and wrinkles by removing the dry dead dull cells stuck on the surface making the skin appear lack luster, older, uneven and more dehydrated. Once these cells are removed via exfoliation it reveals the fresh healthy bright, smooth tissue underneath. Its anit-ageing. 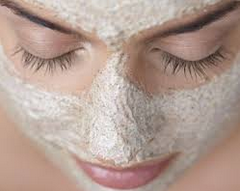 By assisting in all of the above, exfoliating makes the skin appear much more youthful. Not only does it "appear" more youthful but exfoliating cultivates and speeds up the skin's natural regeneration (cellular turnover). The slow down of this process is one of the major causes of ageing. By regularly exfoliating, you help to thin the top layers of the epi-dermis (where wrinkles and lines reside) and assist in cultivating a thicker dermis which houses the collagen, elastin and hydration within the skin. Collagen and elastin act as the skin's scaffolding holding it up and firming the skin making it appear more youthful and plumped. Depending on the strength of your exfoliant it should be done at least once a week to achieve the best results. Always use as directed. Always use in combination with a cleanser and moisturiser - at least. Regular exfoliation can lead to a bit of sensitivity to UV so make sure you are always wearing sun protection of some form. Enjoy softer, younger, brighter, smoother skin :). Vigor skin renewal gel: This amazing product uses lactic and salicylic acid to smooth the skin's surface and unclog the pores. Vitamin A also helps to smooth and anti-age the skin. It is suspended in organic aloe vera gel and uses a combination of calming essential oils to hydrate the skin whilst it is being renewed. Bamboo powder helps to slough off the dead skin cells after the acids have gone to work. An amazing hybrid between an ezymatic and mechanical exfoliation making sure there is not an ounce of dead skin left! Frankbody: Let's be frank.... this product is great value for money. It uses coffee seed powder, sea salts, brown sugar, cocoa powder and other nut and essential oils specific to your concerns assisting in detoxification and stimulation also aiding in the reduction of varicose veins, cellulite and stretch marks. Smells amazing... I almost ate it! Nimue exfoliating enzymes: This product uses pinapple, papaya and orange enymes to help break down dead skin the way our stomach acids break down food. The enzymes can be used on most skins. Thank you. Our staff will be in touch as soon as possible to confirm our available appointment times. All Rights Reserved. Lady Luxe Beauty 2014.